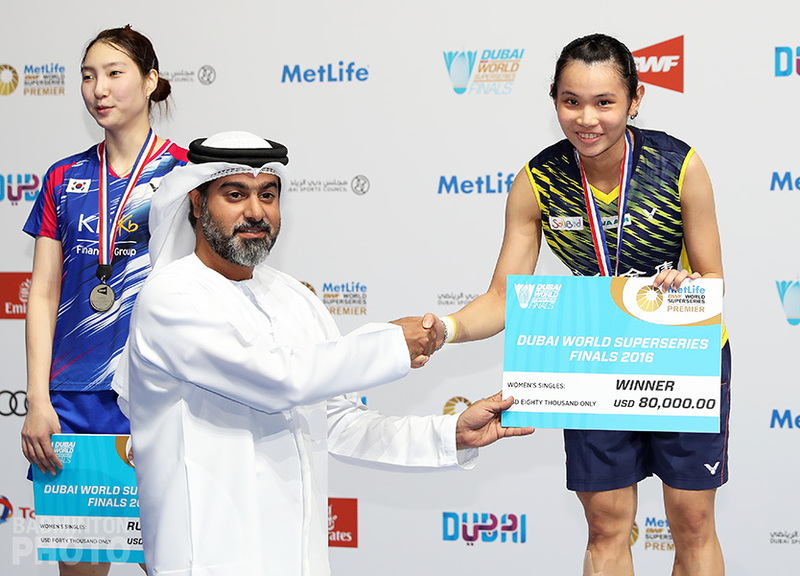 For the second straight week, a BWF World Tour event will be splitting up the massive 80-match first round into two days, a logical step for streamlining the scheduling of the badminton world’s biggest tournaments that has been a long time coming. “In badminton, it’s not the matches that are too long, it’s the days!” So says Badmintonphoto photographer Yves Lacroix, each time the badminton scoring system is discussed. Indeed every time the length of the average badminton match comes up, we get the inevitable comparisons to tennis. But it isn’t the commercial breaks, towel breaks, pre-serve ball bouncing, and hair adjustment that makes the real difference. 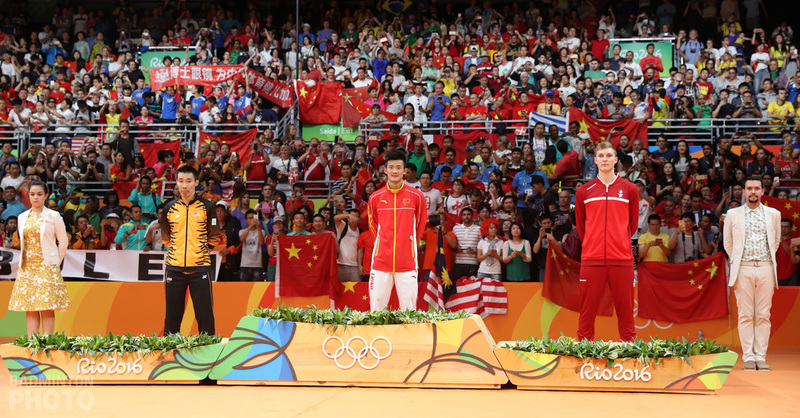 All of that is surpassed by the fact that in badminton – unlike tennis – we care what happens in doubles disciplines, all three of them. Now that refusal to sacrifice air time for doubles matches – which is a part of life in the tennis Grand Slam particularly – means that we cannot imagine not having a 5-match Sunday. However, while you can conceivably fit 5 badminton finals into an afternoon not too much longer than a competitive Wimbledon men’s singles final, it is the Round of 32 that has always been the real burden, with most of the top tournaments on the circuit trying to fit all 80 opening matches of the main draw into one little Wednesday. 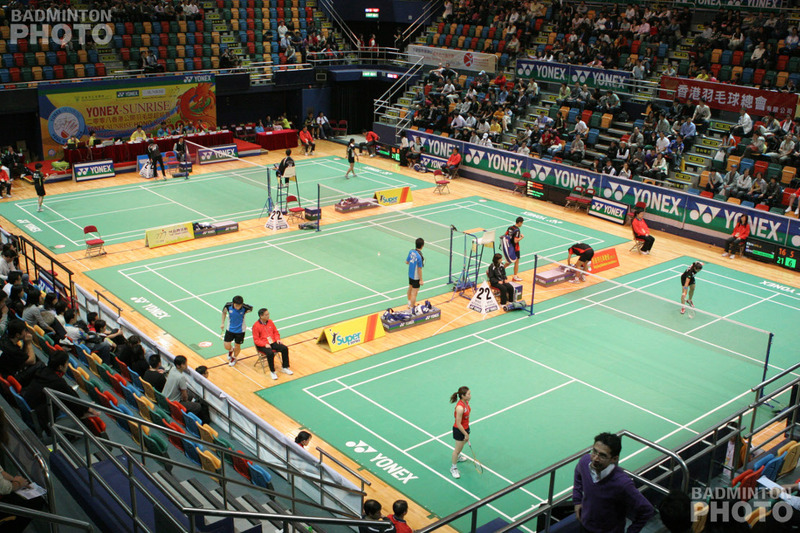 Since badminton tournaments are invariably expected to last under a week and are played on multiple courts within a single hall – no sprawling complexes like the big-money tennis events – there has been little choice when it comes to accommodating 5 draws of 32, plus qualifying rounds. 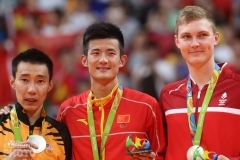 The Badminton World Federation (BWF) has stepped in with a rule change. For its two top tiers, the Super 750 and Super 1000, it has finally done away with qualifying rounds and this has made it possible to relieve some of the pressure on the early days. 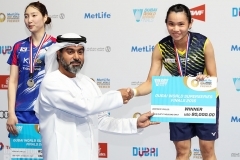 Last week at the Malaysia Open Super 750, they played 39 first round matches – in all disciplines but women’s doubles – on Tuesday and the remaining 40 matches on Wednesday. This week, the Indonesia Open Super 1000 has 40 matches on each day, splitting the opening rounds of all five disciplines evenly between the two days. Of course, this is not the only way to do it. The All England elected instead to use the absence of qualifying rounds to run the tournament in a shorter week, still cramming the 80 matches into Wednesday after all players got an extra day of rest, particularly those coming directly from the German Open the previous week. That event had been the site of one of the worst scheduling experiences when back in 2012, former champion Peter Gade lost the opening match of the last All England of his illustrious career at 2:30AM in front of just a handful of die-hard spectators. The match was originally rather wistfully scheduled for 8:10PM, with 8 more matches following it! Who really needs a shorter Wednesday? Of course, so early in the week, television viewers aren’t the main beneficiaries of this type of scheduling improvements. Even players mostly have the option of planning ahead to show up for their one or two matches out of the 80 and retreat to their accommodation or practice courts while their team-mates and others play the rest of that long day. Obviously, an exception would be any player being expected to play well after midnight, as with Gade and Rajiv Ouseph on that fateful Thursday morning in 2012. For the most part, however, it will be the court officials, journalists, volunteers, medical personnel, and other support staff who will be glad to get the chance to leave – and perhaps dine – at a more reasonable hour. As for fans, they will be able to plan ahead and not be as likely to miss a last bus or subway trying to get their money’s worth and/or catch their favourite star in a long-delayed evening match. On the other hand, purchasing decisions will have to be made differently as a Wednesday ticket now gets you half the matches and if you have to book in advance, you won’t know which of your idols will be playing on which day. Have the days been this short for long? In fact, the BWF rule change is only the latest development. For almost the entire first 6 years of the Superseries, all tournaments ran qualification matches on Tuesday and 80 Round of 32 matches on Wednesday. 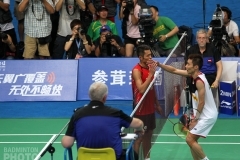 The first exception was the 2008 Hong Kong Open. In a venue with only three courts, they elected to use 7 days for the event, forcing qualifier Zhu Jingjing to start playing less than 20 hours after losing the China Open final. Then they ran the last singles qualifiers and the women’s and mixed doubles first rounds on Tuesday before Wednesday became more routine. The Indonesia Open has experimented with Monday qualifiers a few times in recent years as well. In late 2012 began another trend, as the Denmark Open decided to run most of the first round of mixed doubles on Tuesday, after the qualifiers were done. This pattern, sometimes using a different discipline’s first round on Tuesday, became commonplace at the Denmark, Singapore, and French Opens, and was sometimes used in other events as well. Interestingly, free Tuesdays have come up in the past by accident but have simply been wasted. In 2008, the China Masters had so few entries that all qualifying rounds were eliminated and the women’s and mixed draws were reduced to 16 teams. 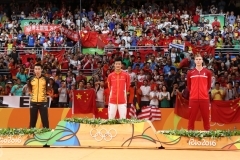 In 2011, nearly the same scenario played out, with withdrawals obviating all but one men’s singles qualifier. Still, those events waited until Wednesday to start the main draw action for all 5 disciplines. It is good to see the BWF making improvements to what has always been a problematic part of tournament scheduling. With every single healthy member of the world’s top 32 men’s singles players in attendance this week in Jakarta, it is easy to see why it was felt that qualifying rounds were unnecessary. In fact, it even appears that Japan’s Kanta Tsuneyama made the trip down from Kuala Lumpur and could be promoted from the reserve list. Will we ever again see an open tournament split up finals day, too? This is, of course, commonplace in the Olympics and other multisport events, which never run 5 finals in a single day. The tennis Grand Slam always has the singles finals on separate days. 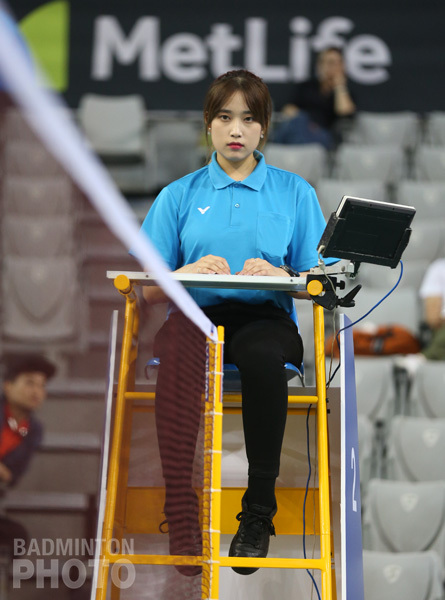 As for open badminton tournaments, the last time may be the 2002 Korea Open, which had two finals on Saturday and the rest on Sunday, incidentally while using the 5×7-point system. This format obviously has its own pros and cons, though, and the fact that no one has tried it since – outside of the Olympics and Asian Games, etc. – may suggest that there is a strong preference for having all 5 finals run consecutively. For now, the players and fans and everyone else in the Istora Senayan who are making to make this week a success should have the chance to get to sleep a little earlier than often happened in Superseries days and we can all focus on what’s happening on court, at more reasonable hours.